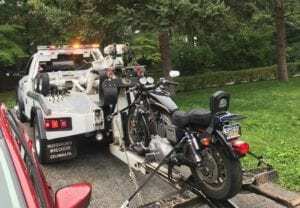 So you need a motorcycle tow? 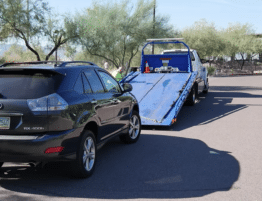 Here is a checklist of motorcycle towing tips if you are looking for the best ways to prepare your motorcycle for safe towing and arrive at a new destination safe and unharmed. Look for damages: To avoid disputes of possible damage during shipment, make a report of any existing damage prior to pickup. You may also prefer to take dated photos of your motorcycle. Clean your motorcycle: This will be helpful to you and the driver when inspecting it prior to towing for any markings or damage. Here is a motorcycle detailing kit, they make great Christmas gifts! Special instructions: Have a specific list with any problems your motorcycle may have prior to your tow. You carrier will wish to know of such things during the loading and unloading of your motorcycle. 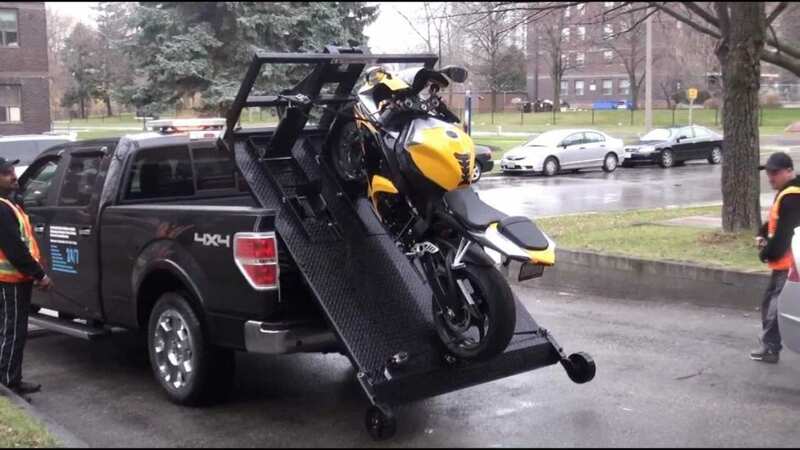 If you want to tow your motorcycle safely yourself, invest in a carrier hauler tow/towing dolly rack. Here is a great motor cycle towing dolly rack for sale that works well for motorcycles 800lbs or greater. Alarm: If your motorcycle has an alarm, please turn off it before towing. Tires: Be sure that your tires are properly inflated and also you don’t have any fluid leaks. The Battery: Must absolutely be secure and the battery cables must be protected from resulting in an electrical short. Liquids must not be leaking. Weight: Know the weight of your motorcycle to avoid over billing. 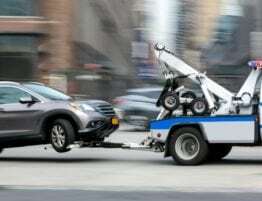 That’s the key to cheap towing of your vehicle no matter the type! 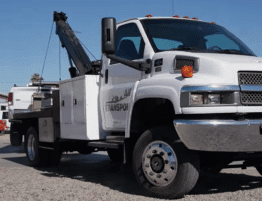 Indianapolis towing rates can sometimes widely vary. Gas Tank: It’s always a good safety precaution to drain your gas tank and remove your battery. 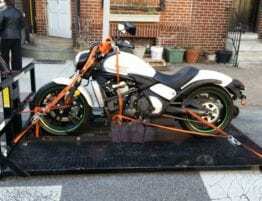 If you are towing a motorcycle in a crate, draining the gas tank is required. Unlock the Steering: Ensure it is unlocked and remove the keys. Mirrors: Fold all of the mirrors of your motorcycle in to prevent a potential mirror break. Forks: Keep the forks of the motorcycle unlocked. Loose Items: Remove empty saddle bags, glove boxes, etc. Certain personal add-ons are likely not going to be insured if they are included with your shipment. Inventory Sheet: Keep an inventory sheet signed from the motorcycle towing company. 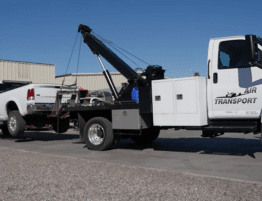 Done right, you can achieve flat rate towing prices when transporting your motorcycle. 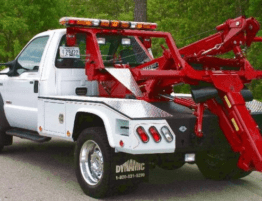 Hopefully these have been the best motorcycle towing tips to help you with your tow. 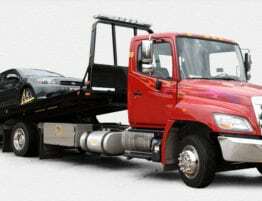 Like other car towing services, we wish you well with the best towing service in Indianapolis.